The other day while grocery shopping in the pasta isle with our daughter, she picked up a package of gnocchi and asked me what it was. I explained that it was potato pasta that was dumpling-like. She immediately gagged and put it back. She’s a potato snob and wretches at everything potatoes. Even french fries and hash browns. I sneak them in where I can. When she walked away, I put a package on gnocchi in the basket. Preheat oven to 350˚F. Spray a 9″ x 9″ baking dish with nonstick spray. Set aside. Boil a pot of water and cook gnocchi according to package instructions. Drain and arrange in a single layer at the bottom of the prepared dish. In a saucepan over medium heat, melt the butter. Stir in garlic and cook until lightly golden, about 1 minute. Whisk in flour until mixture thickens. Add the milk and whisk until the sauce thickens, about 3 minutes. Whisk in 1 cup of the cheese. Whisk until smooth. Remove from heat and stir in the sour cream. Season with salt and pepper, to taste. Pour sauce over gnocchi. 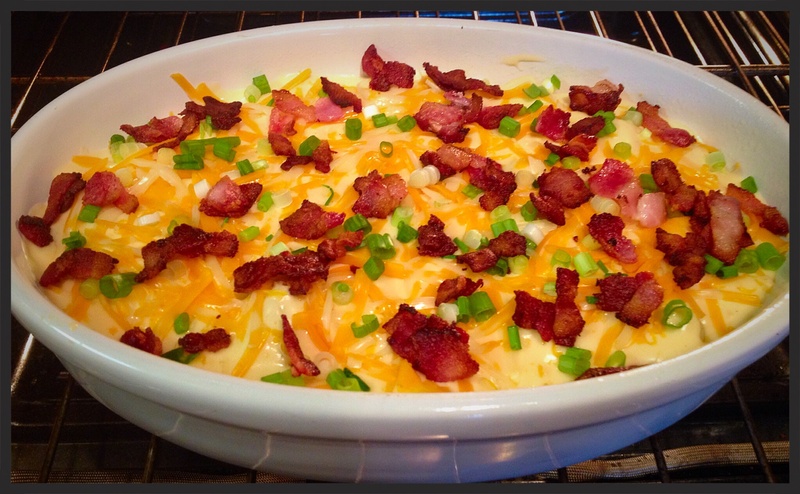 Sprinkle remaining cheese, green onions, and bacon over the gnocchi. 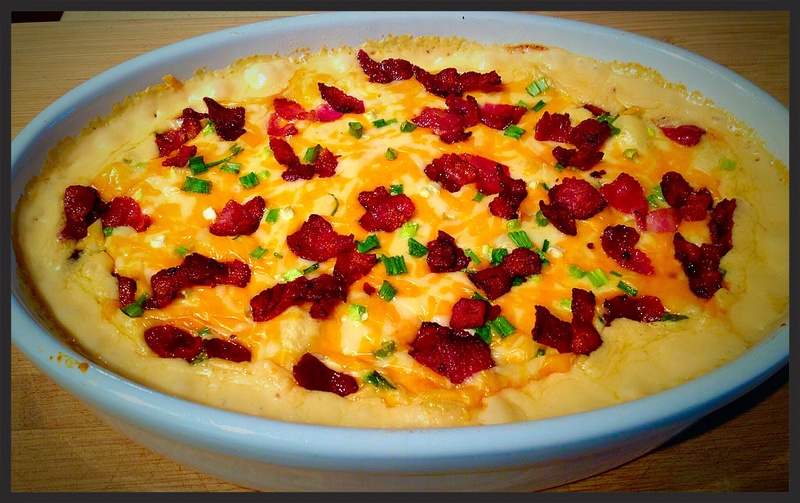 Bake for 25 minutes, or until bubble and cheese is melted. Remove from oven and let sit for 5 minutes. Serve warm. Oh my goodness! 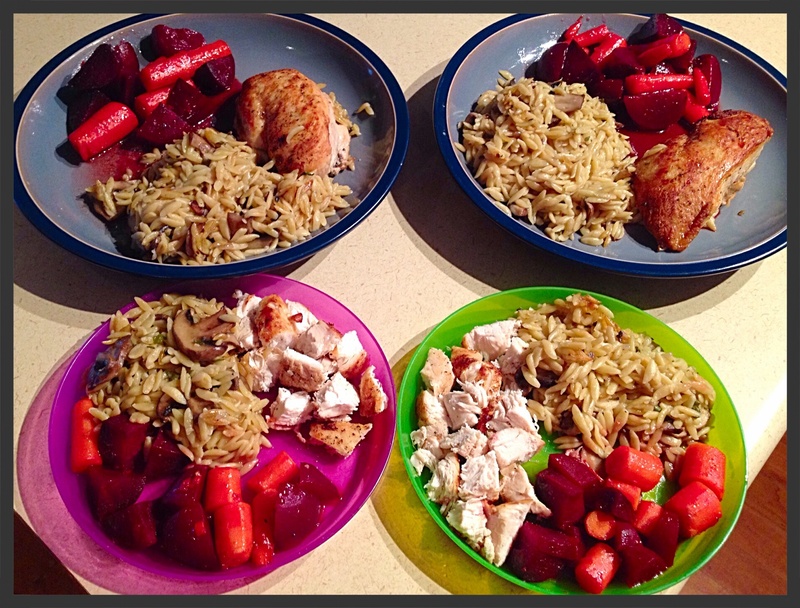 This was AMAZING, and our daughter even had seconds! We Canadians really know his to celebrate on Canada Day, eh?! Parties in every city, family-friendly events, traditional Canadian food and drinks, and fireworks displays are a few ways in which we celebrate this AMAZING country in which we live. Our Canadian colours and icons are worn loud and proud and Summer is no reason to not wear our toques. This July 1st, FlyOver Canada will be hosting their annual Fireworks Party at 8pm. Take in the fireworks from the private viewing zone on the ‘flight deck’. A burger and traditional poutine served up by Vera’s Burger Shack, fresh salad, and a cold beverage (beer and wine will be available to those 19 years and over), admission to FlyOver Canada and the private fireworks viewing zone. Children 3 & under (not eligible to ride), complimentary admission, requires a ‘Child Non-Rider Fireworks Party’ ticket when purchasing online. FlyOver Canada will be open from 9am-6pm on Canada Day, with rides commencing every 15 minutes. Only FastLane booking will be accepted, with some General Admission Standby tickets available on the day. Guests of all ages are welcome, however, children must be at least 40″ to ride (approx height of a 4yo). Children under 12 must be accompanied by an adult or guardian 14 years and older. We headed out this past weekend for a much needed camping trip with our friends, so when we returned home, there wasn’t much time to get in a grocery shop. In large skillet, melt 2 Tbsp of butter. Season chicken breast with salt and pepper and add to butter in batches. Brown chicken for 3 minutes, turn and brown the second side for 1 minute. Remove to a plate and keep warm. In a large stockpot, melt ¼ cup butter. Add onion and garlic to butter, stirring constantly for 1 minute. Add mushrooms and sage. Cook until the mushrooms just begin to soften. Add orzo. Stir and cook until orzo is lightly toasted and fragrant. Pour orzo into a 9×13 baking dish. Top with chicken breast. Pour chicken stock over orzo and chicken. Bake for 45-50 minutes or until chicken reaches 165 degrees and liquid has been absorbed. I served this with a side of Brown Sugar Glazed Beets and Carrots! Combine brown sugar, orange juice, butter, salt and pepper in a large nonstick skillet. Cook over medium heat until the sugar and butter are melted and starting to bubble. Stir in beets and carrots and cook until most of the liquid has evaporated and the veggies are coated with glaze, 6 to 8 minutes. Serve hot or warm. The weather’s warming up, so eating heavy meals isn’t very desirable. Heat 1/2 teaspoon oil in a large nonstick skillet over medium heat. Add peppers and onions; cook 1 minute. Add soy sauce, sugar, 1/4 teaspoon salt, and coconut milk; bring to a simmer (but do not boil). Remove from heat and stir in cilantro. Brush fish with remaining 1/2 teaspoon oil and 1/4 teaspoon salt and place on a baking sheet coated with cooking spray (I just use parchment paper). Broil 7 minutes or until fish flakes easily when tested with a fork. 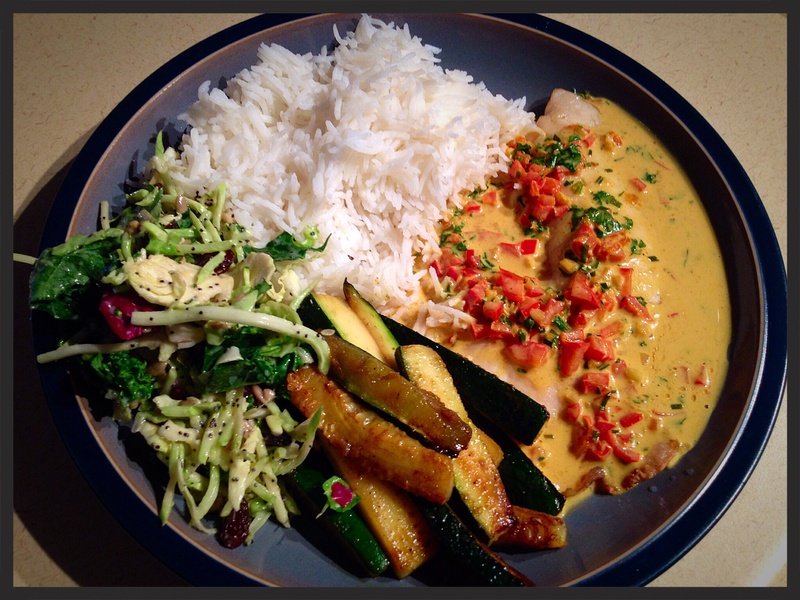 Serve fish with sauce, rice, and lime wedges. I was so pleased with this recipe! 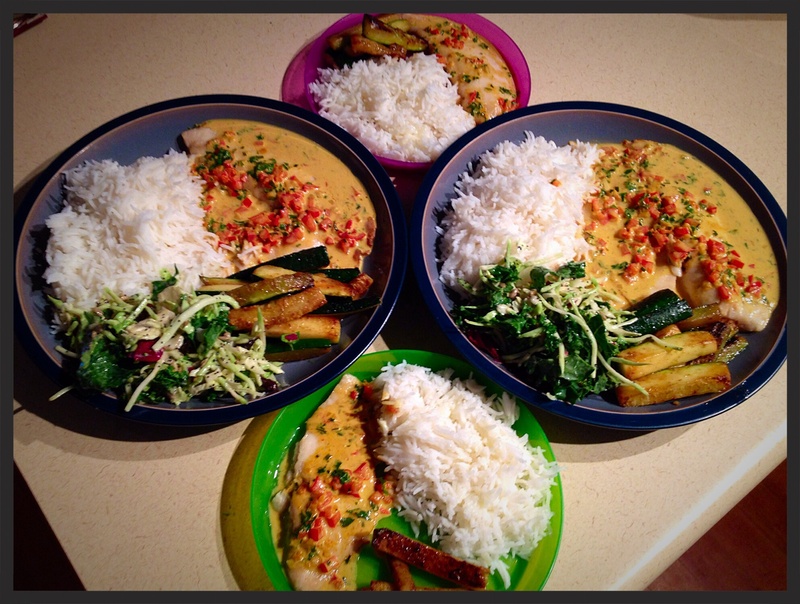 The coconut-curry sauce was mild enough for the kids and oh-so tasty, that we really enjoyed it! I served it up with a side of rice, sauteed zucchini and some of our favourite kale salad. Perfect for a weeknight dinner. This sauce could be used with shrimp or chicken as well. I love to wear clothes that are comfy and casual. In fact, if I could wear pajamas all day, I would do it! I recently discovered UNDERABLES. They are an online boutique specializing in sleepwear, intimates and cozy apparel that are hand-picked by them, just for you and your family. 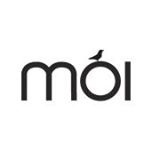 They buy from quality suppliers that use sustainable materials and have ethical practices for the farmers and the workers that produce these products. 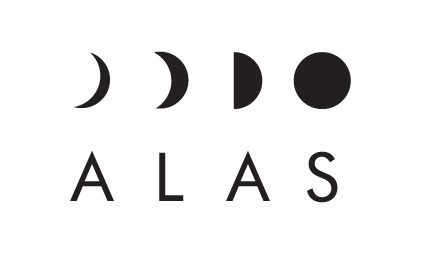 You can shop for underwear, pajamas, and loungewear available for both kids and grown ups. All orders are shipped from Vancouver, BC. 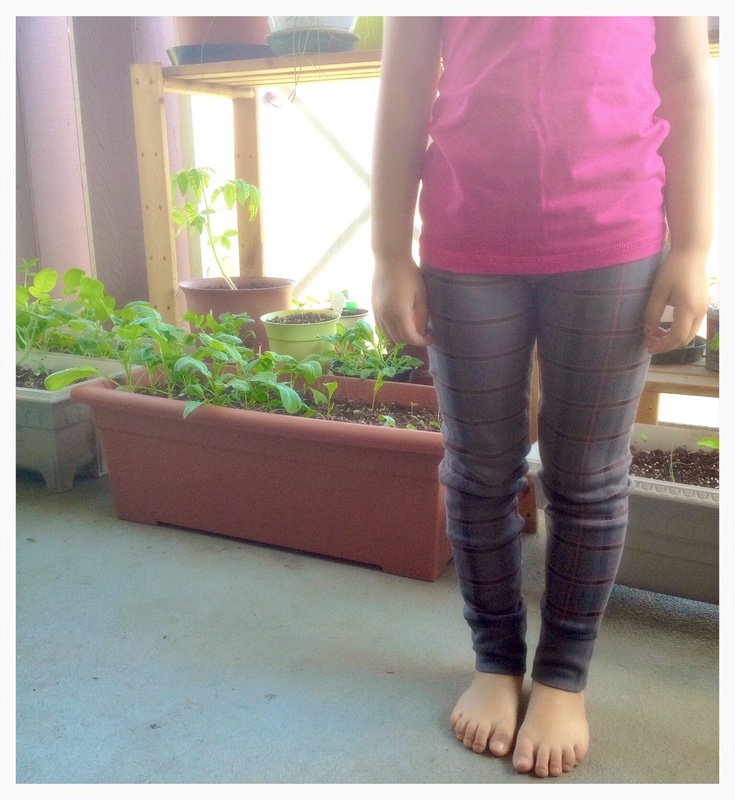 Our daughter loves the Goat-Milk tartan pants that we got her! They are comfy, and can been worn as play clothes or pj’s. They are very functional clothing! There are so many great pieces available for the whole family! I definitely plan on ordering some more clothing from UNDERABLES for my family! You can visit UNDERABLES website here or check them out on Facebook, Twitter, Pinterest or Instagram. 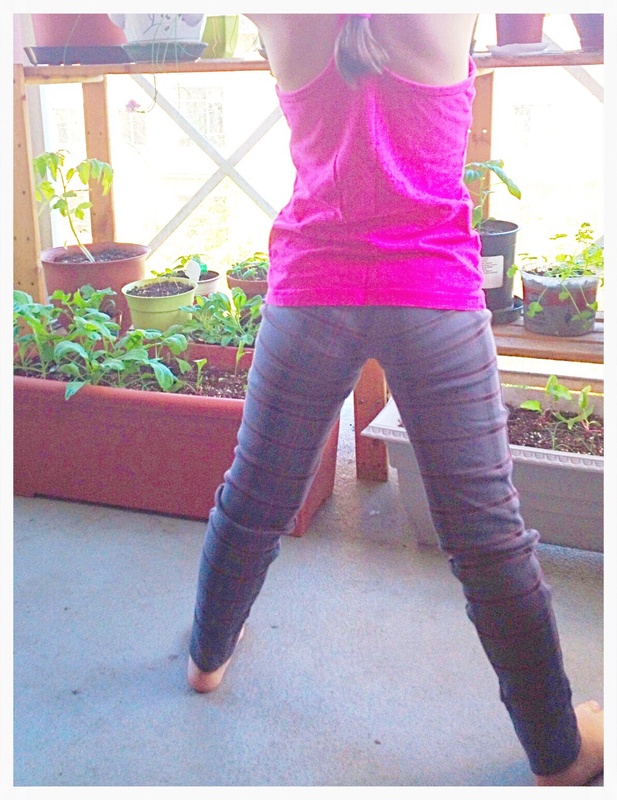 Until June 30th, UNDERABLES is offering all Raincity Parent readers a 20% discount on your entire purchase! Please enter promo code “RCP20” at checkout online to recieve your discount! When life gives you lemons…make pie! We gathered up the ingredients at our local grocery store and the pie crust came two to a package, so I thought I’d try out a Coconut Cream Pie recipe as well. Click here to see that amazing recipe! We get home and as I was putting the groceries away…I realized that the lemons were MIA! Today I remembered to grab the lemons. 2. To Make Lemon Filling: In a medium saucepan, whisk together 1 cup sugar, flour, cornstarch, and salt. Stir in water, lemon juice and lemon zest. Cook over medium-high heat, stirring frequently, until mixture comes to a boil. Stir in butter. Place egg yolks in a small bowl and gradually whisk in 1/2 cup of hot sugar mixture. Whisk egg yolk mixture back into remaining sugar mixture. Bring to a boil and continue to cook while stirring constantly until thick. Remove from heat. Pour filling into baked pastry shell. 3. To Make Meringue: In a large glass or metal bowl, whip egg whites until foamy. Add sugar gradually, and continue to whip until stiff peaks form. Spread meringue over pie, sealing the edges at the crust. 4. Bake in preheated oven for 10 minutes, or until meringue is golden brown. 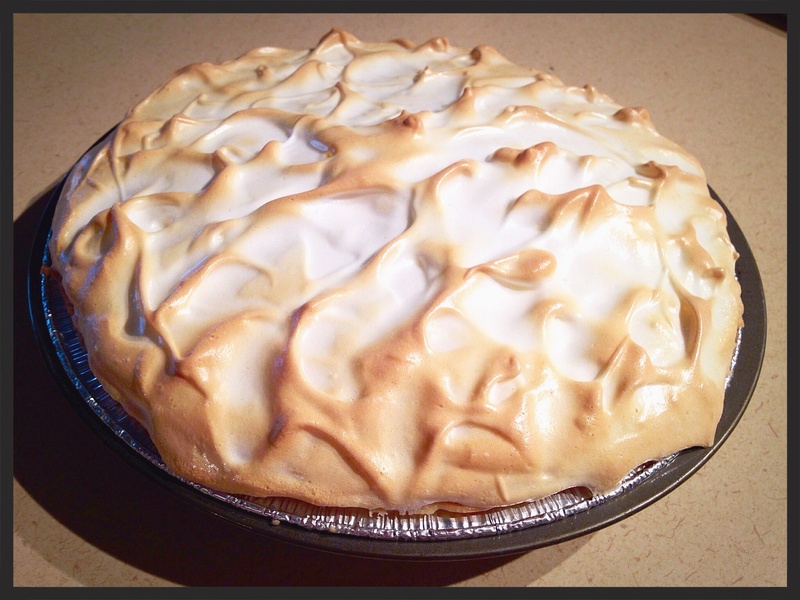 This is my go-to recipe whenever I bake a Lemon Meringue Pie! It’s so AMAZING! We went grocery shopping the other day and as we scanned over the assortment of burger patties, I spied an AMAZING deal on bone-in pre-cooked ham! A big ol hunk of ham for less than $10! I never did check to see why it was such a deal…none of us got sick, so that’s a good sign 😊 We baked it up and had a lovely dinner with some garlic smashers mixed with carrots and a lovely heap of kale salad. So here I am left with a whole bunch of leftover cooked ham to use up, so a-Pinterest-browsing I did go. Preheat oven to 350 F. Lightly coat a 9″ x 13″ baking dish with nonstick cooking spray and set aside. 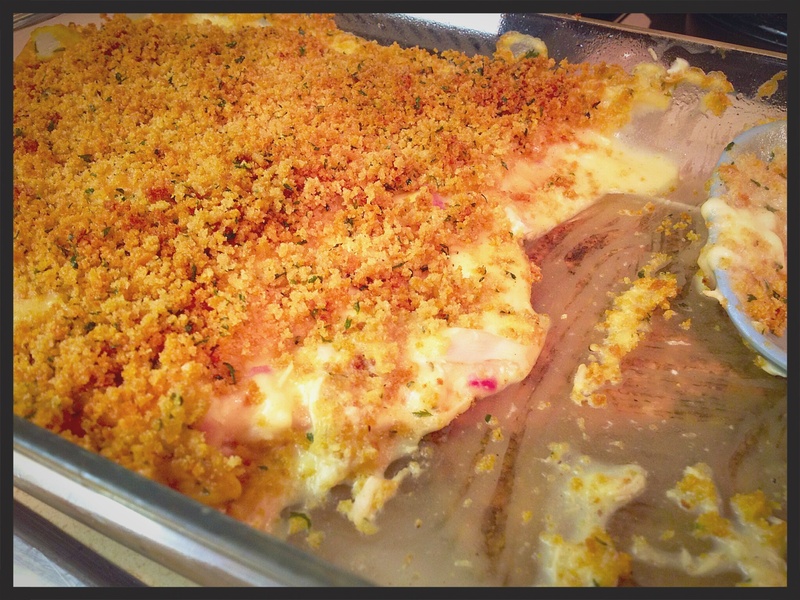 Line the bottom of the baking dish with shredded chicken. Next, sprinkle ham over the chicken. Lay the Swiss cheese on top of the ham. For the sauce: Over medium heat, melt the butter in a large sauce pan. Whisk in the flour until smooth. Continue to whisk mixture while slowly adding milk — stir until sauce thickens, about 10 minutes, whisk continuously. Time Saving Tip: To make the thickening process go faster, heat milk in the microwave until it boils (about 2-3 minutes). Then slowly add to sauce pan, whisking as you pour. Add lemon juice, Dijon mustard, paprika and pepper. Bring sauce to a low simmer again, whisk continuously. Once it has reached desired thickness, remove from heat and pour sauce evenly over the casserole. 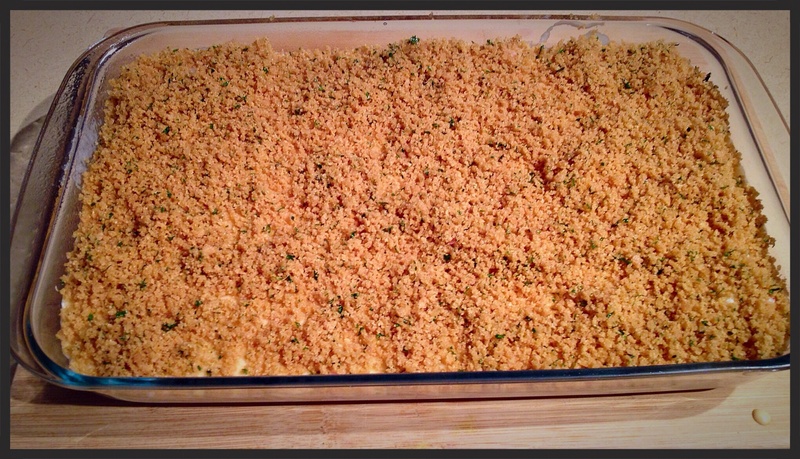 For the topping: In a small sauce pan, melt the butter and stir in Panko breadcrumbs, garlic, parsley and pepper. Sprinkle topping mixture over the top of the casserole. Lightly mist top of casserole with nonstick cooking spray. Bake for 35 minutes until topping is golden brown. Serve with rice, noodles or mashed potatoes with a healthy serving of veg. Yum, yum yum-o!